Antique & Classic Tractors Welcome! The 20th annual Good Ol’ Taylor Days will be held on Heritage Hill in Taylor, ND. 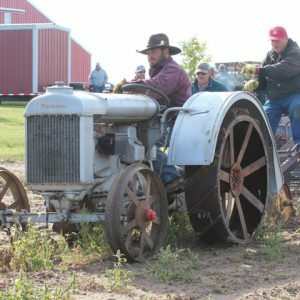 The event will feature an Antique Tractor and New Equipment Display, Tractor Parade, and an Antique & Classic Tractor Pull, as well as demonstrations on Threshing, Potato Digging and a Sawmill. For General information in connection with Good Ol’ Taylor Days contact Sherman at 701-260-0264. In conjunction with Good Ol’ Taylor Days Rebel Customs will be hosting its 5th Annual Rebel Customs Car Show on Main Street in Taylor. For general information for the Rebel Customs Car Show call 701-974-4248. View and aerial video of the 2016 Good Ol’ Taylor Days and Rebel Customs Car Show on Skypixel.